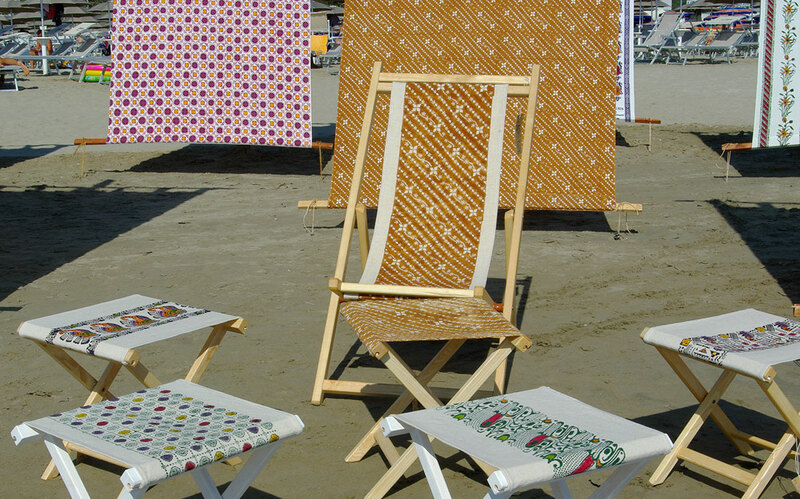 A folding chair for your relaxation at the seaside or in a garden. 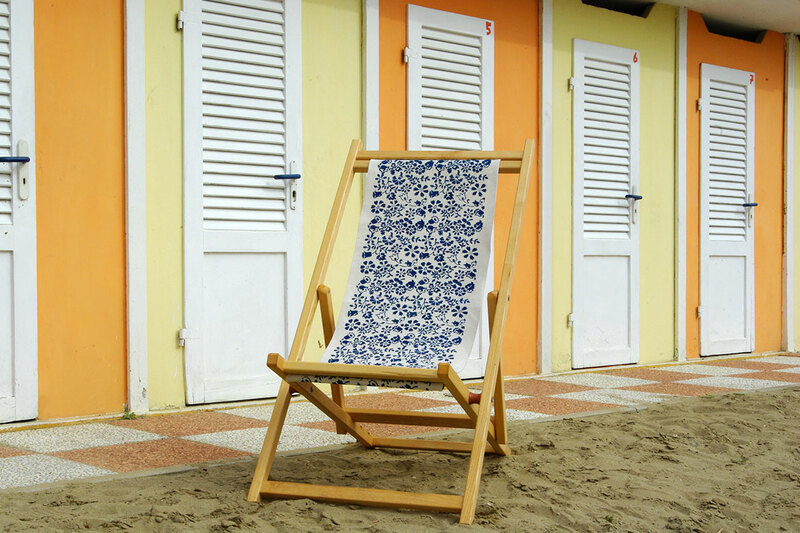 In its style there is the taste of the past and of the tradition: here is Mare. 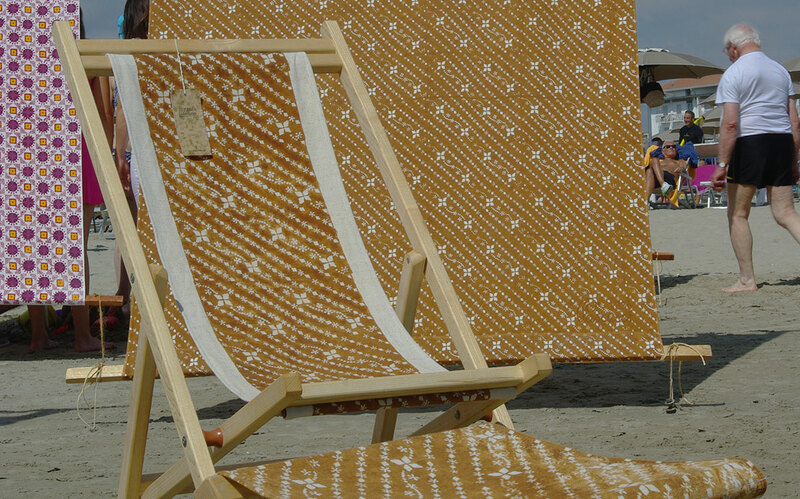 Its hand-printed designs on the linen of the seat make of it a well designed object and, if matched with our stool "Sabbia" in the same color .... you will definitely be the trendiest when you are at the beach!